All course materials for the IEEE Northern Virginia Section Internet of Things Hand On Weather Station Course June 4, 2016, are available on this page. COURSE MATERIALS ARE UP TO DATE AS OF 6/9/2016. All course Arduino sketches are in one zip archive. After download, extract the files. Copy the extracted folders to your Arduino Sketchbook folder. This is usually Documents/Arduino. If you are not sure, run the Arduino IDE and open menu item File | Preferences. The first item on the dialog is “Sketchbook location”. IEEE_IoT_I2C_Scanner – scans I2C bus to find addresses of all connected devices. Use this if you do not know the address of the LCD. Library files. Instructions for installation are included in the course slides. Dewpoint_in_Fahrenheit – chart shows temperature and dewpoint in Fahrenheit. Dewpoint is calculated from temperature and humidity and is the temperature at which condensate will form on a surface. Display_Multiple_Channels – displays one field from each of four channels. Temperature_Correlation – provides a linear curve fit between temperatures measured by the BMP180 and HTU21D sensors. IEEE IoT Membership – Introduction to IoT and IEEE IoT resources. IEEE IoT Sketch01 – Blink – Unbox the kit of parts, install the Arduino IDE and ESP8266 core, and run the first sketch. 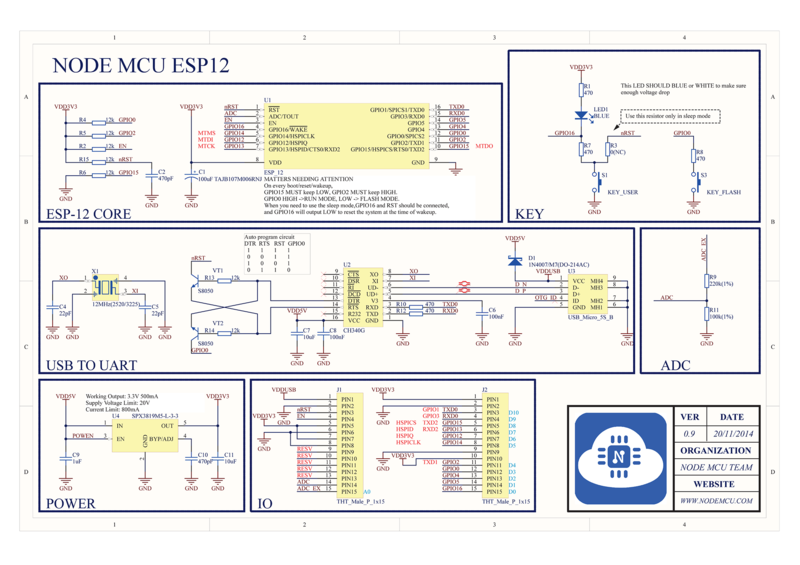 IEEE IoT Sketch02 – Hello World – Description of I2C bus, wire the level converter, print a message to the LCD. IEEE IoT Sketch03 – Standalone Weather Station – add temperature, humidity, barometric sensors and light. sensors, read the data on the LCD and serial monitor. IEEE IoT Sketch04 – IoT Weather Station – open a ThingSpeak account, configure the channel, stream IoT data, add MATLAB visualizations. IEEE IoT Sketch05 – Smartphone Weather Station– open a Blynk account, create a smartphone app, read and control the weather station.